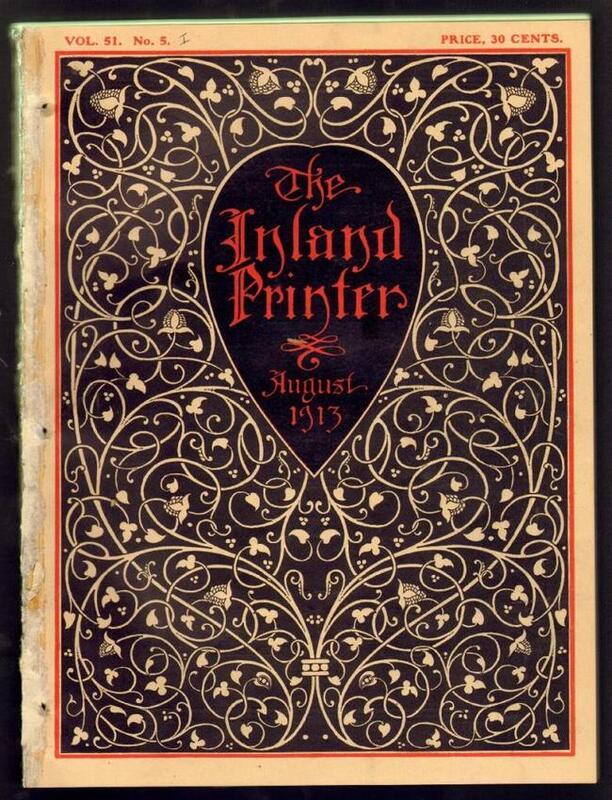 The Inland Printer, an influential magazine devoted to the printing arts of the era, began publication in 1883, primarily as a journal to the trade. Incidently, the IP is noted as the first American magazine to change its' cover with every new issue. American designer, illustrator and typographer, Will Bradley who found inspiration in the works of British artists, Aubrey Beardsley and William Morris, convinced the editors to produce new cover artwork for each monthly issue. 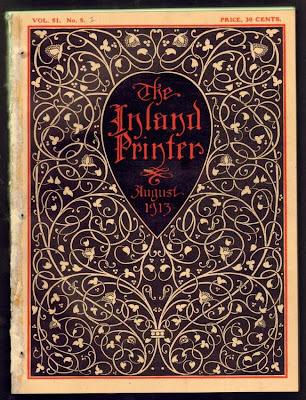 Some of Will Bradley's early covers for The Inland Printer marked the beginnings of the art nouveau movement in graphic design. The magazine's interior was produced with an equal amount of care. See a large collection of The Inland Printer covers here.